Welcome to Garden Ninja. I'm Lee Burkhill and I'm a garden designer from Manchester. I also run Garden Ninjas blog which aims to help get newbies into gardening, explaining the basics and providing some gardening hacks to get you inspired! I'm passionate about plants, the outdoors and gardening as a form of therapy. 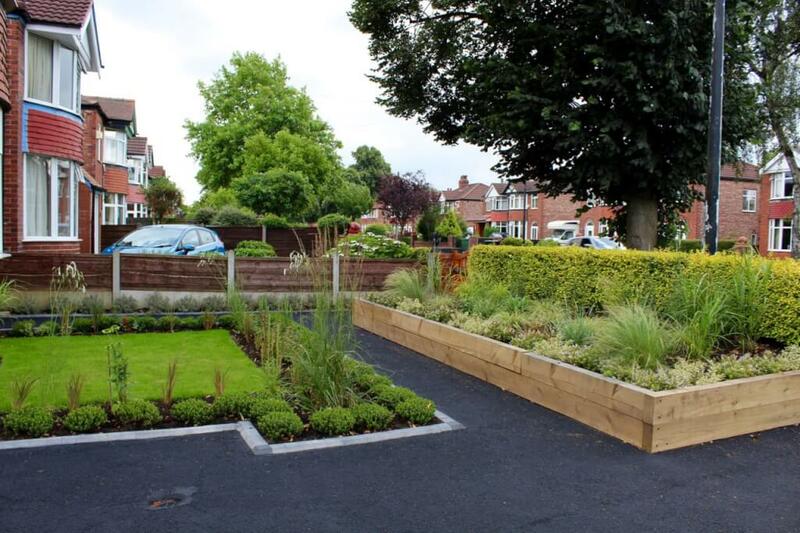 I specialise in garden design in the Manchester, Liverpool, Southport and Cheshire areas of the North West of England. Specifically small, awkward or unconventional gardens. I love problem gardens and love to use my creative design and problem-solving to make incredible spaces for customers. I have a passion for good design with plants and I’m one of BBC Radio Manchester’s gardening experts for their live Saturday morning phone-ins. Small garden design is something of a speciality of mine! People often confuse a small garden with an easy garden. This is often one of the hardest gardens to design effectively. Given the fact that you have such limited space; getting the design aspects wrong can completely ruin your garden space. Small and awkward gardens can be difficult to design yourself as you may simply become overwhelmed with what to plant, where to put it, how many plants, how big will they grow and exactly how much is too much?! My full design service starts from £500 for a complete garden design see my prices here. Garden Ninja takes the fuss and stress out of garden design, delivering a truly fantastic outdoor space for you to relax or entertain in. Whether you want a full garden redesign or a planting plan for an awkward space then Garden Ninja can help you. I love using height in a garden as part of my style, whether this is raised beds, planters or containers. I also like to use striking colour palettes. Whilst my designs usually have a contemporary feel I quite like bucking the trend and mixing in some more traditional elements especially in my planting. I like to look back as well as looking forward when finding inspiration for my garden designs. 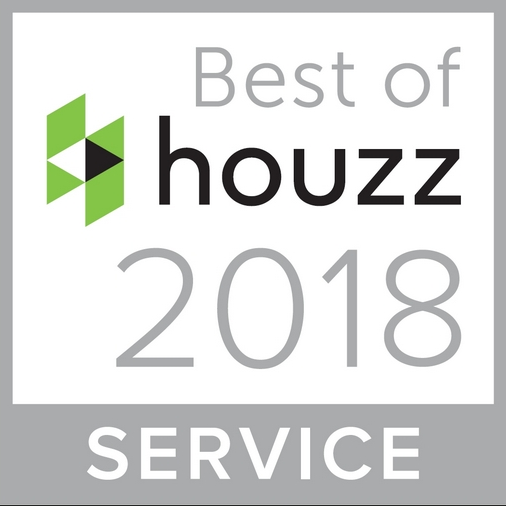 Garden Design is a specialist skill in which a garden designer, like Garden Ninja, must survey a plot and then craft a design that applies both hard landscaping and planting to create a look that is both functional and beautiful based on the client’s preferences. Considerations such as soil type, property aspect, climate, topography, hazards, adjacent properties, existing planting and a myriad of other factors all need to be taken into account. It’s a really tricky specialism, as often a designer is having to interpret what a client wants, ie a look, into a practical design with planting that can give the look they want under the garden conditions they are faced with. Creative problem solving is a key skill that all designers share. It involves considerations that most lay people would miss or overlook, ie will that tree lose its leaves in winter and make that lovely slate path super slippy? 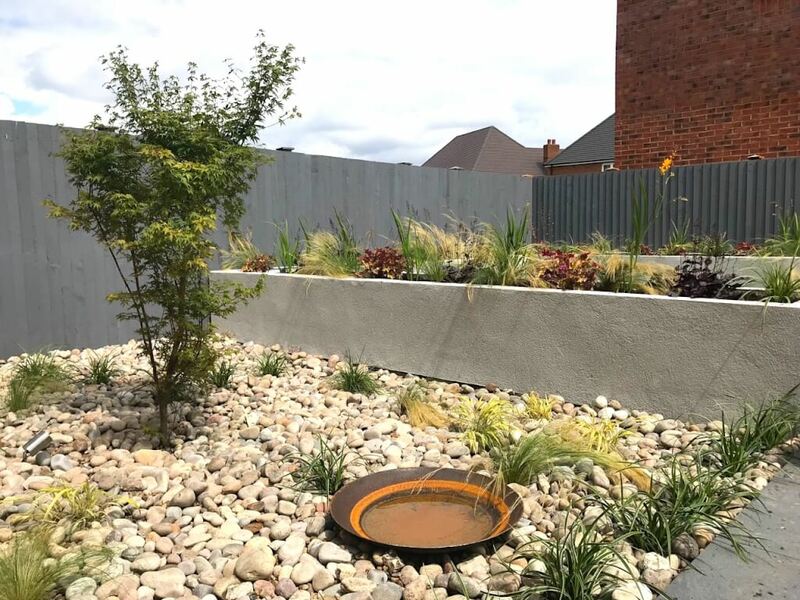 Garden designers differ from a landscape designer, as usually, they are horticulturally trained and not builders or tradespeople like construction workers. Landscapers, usually specialise in the hard landscaping and not so much on the horticulture or planting. So the designer has a solid knowledge of construction principles but wouldn’t necessarily undertake that work. They have the expertise in the planting. The garden designer should be trained in horticulture, botany and design. If not they may have amazing design ideas, but without the foundation in plants, they will struggle to ensure the design works long term. There’s a lot to consider with a garden redesign, so I’ve created some garden design tips to help with garden design thoughts. There are a number of considerations when designing a small garden or awkwardly shaped garden. Often people with smaller gardens try to cram in as much as possible, pots here and there, beds, hanging baskets, art and small water features to name a few. The issue with a smaller garden is the more you put in it the smaller and more overbearing it can feel. Having restraint is often the key to a successful smaller garden. If you want a small Japanese themed garden for example using sculptures, Acers, gravel, stone formations and multiple buddhas will probably completely overshadow the design. If there’s just too much to look at, it looks forced and piecemeal. It’s best to stick to a few items and display them properly with space to breathe. Less really is more. My style with small gardens is to take time choosing a really striking or obvious colour palette. A more informal natural garden design would let you use a mix of various colours and soft shades over a larger area. However, in a smaller garden, this can emphasise the lack of space as you can only fit maybe one or two of each of these coloured plants in before your garden is full. It can also make a garden look quite disjointed unless done in a cottage style. I prefer to take say 2-3 colours and contrast them. This not only allows you to group plants based on colour to give cohesion but it also creates a real focus in a smaller garden. You want to slow down the impact of a smaller garden so it’s not a one hit wonder. Using a striking colour palette of a couple of colours makes you focus in on each which in turn slows you down. There is less to distract and interrupt your attention when you use a more limited colour palette. If your garden or terrace is nearly always covered in shade, then work with it! There is no point trying to grow Hemerocallis (day lilies) or Iris in a shady garden. As they thrive on the warm baking sun. Mother nature has a way of creating plants for all aspects, lighting and conditions so my designs always work with this. If your garden is baked in all day sunshine, then work with it! I can provide planting plans that will thrive in your garden conditions. By paying particular attention to the aspect and conditions you can avoid those sad sorry looking plants that are being forced to try and succeed in adverse planting conditions! I usually advise that a focal point is used to draw attention to the best or better areas of your garden. What’s the best area of my garden you may ask? This is the area that either gets the most sun, has the nicest view, aspect or conditions. A focal point provides something for the viewer’s vision to be drawn to. It doesn’t need to be smack bang in the middle of a lawn or a huge sculpture. A focal point can be subtle such as a doorway that gives a hint of something on the other side. It could be a sculpture in a border that makes you wonder, ‘what’s that over there?‘. What’s through that door in the hedge? Most gardens are designed piecemeal leaving a ‘shop window‘ approach. This is where you can see everything on offer at once. It reduces the impact of your garden and is thought of as poor garden design. Even the smallest gardens can have intrigue and mystery causing the viewer to be pulled out into it rather than being able to see it all out of a back window. Garden Ninja can help design both an environmentally friendly garden whilst incorporating the necessities such as a parking space or seating area for the back. 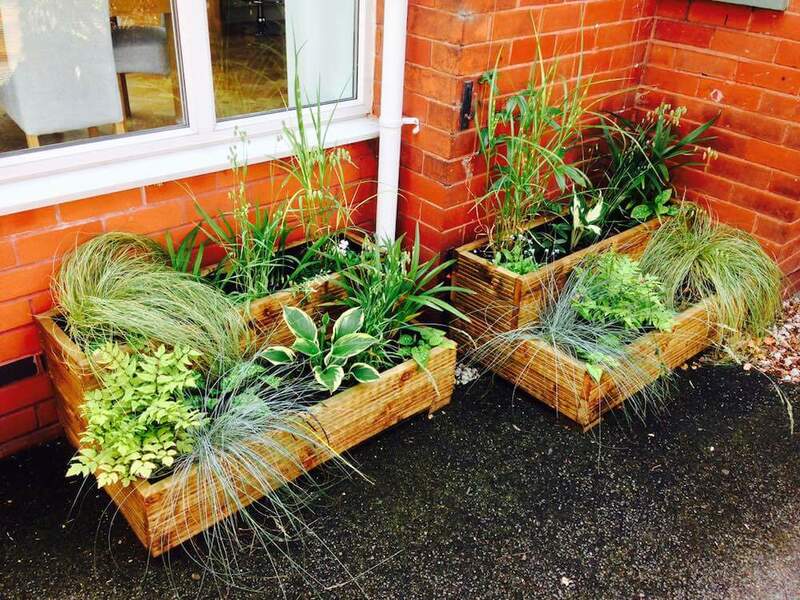 Whether it’s using window planters, container planting and low maintenance schemes you can have the best of both worlds. This both encourages wildlife, reduces the increased flood risk of non-permeable driveways and makes your property much more attractive to look at! Wildlife is an essential part of garden design because it not only will it keep garden pests under control but it also helps ecology. The reduction in honey bees has already shown a severe impact on crop production. We must always do our best to reduce our impact on mother nature and a garden ninja planting scheme always has this at the forefront of its design. I encourage pollen rich planting for bees and insects providing habitats where we can coexist with existing wildlife. I currently work with the BBC as one of their gardening experts for BBC Radio Manchester. Live on air I take calls and help provide handy hints and tips for people to get the most out of their garden. Garden Ninja also writes for other plant blogs, magazines and publications spreading my passion for gardening! Why not check out my Youtube channel to see my handy Garden Ninja garden design how-to guides? Want to speak to me about how I can inject endless enthusiasm into a gardening show or publication? Give me a call and let’s talk! My friend has just told me about you. I don’t know what to do with my back garden anymore and I’m so bored with it. It seems to look smaller and smaller as the years have gone by and as things have grown, it’s south facing but can be mostly shady. Nothing ever seems to flower and the soil is full of clay. It’s only a small garden too. Can you help to inspire me and let me know an approximate cost. I m not sure whether it would benefit from a complete over haul or just some new beds ? I also have some plants / conifer tree that I definitely don’t want to get rid of. Great to hear from you, I love small gardens it’s what I specialise in. I’ve also had my own battles with a clay filled garden and managed to succeed! I’m sure I could help either with a rework or complete redesign. It will sound strange to most to have a south facing yet shady garden. I’m going to guess that neighbouring buildings and trees are causing the shade. It may be that the plant choice is incorrect for the wet heavy clay and shady aspect. However, there are so many plants that will happily tolerate this. That and some work on the beds themselves could help create a beautiful space from an unsuccessful one. It’s near impossible to quote without a consultation first on the garden space to see what you’re dealing with. I charge usually £50 for an hour consultation to have a chat about what can be done with the space. I then can quote on a redesign, planting scheme and or to do the work. I structure my services in layers so you can see the cost for this. My prices are listed on my site here as well. If you’re interested in the consultation then just drop me an email at [email protected] to get the ball rolling. 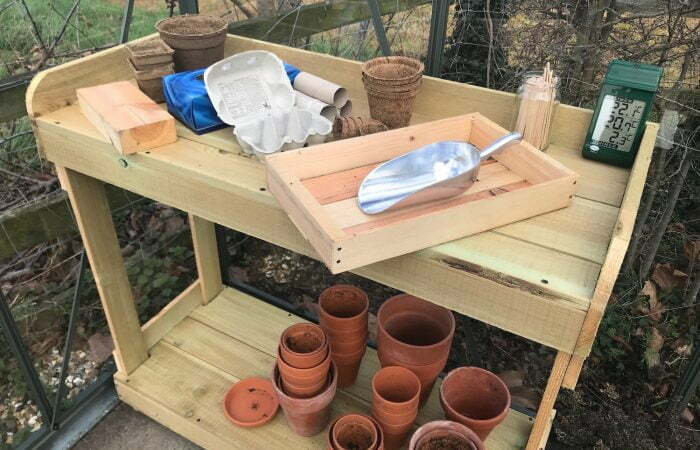 My recent Garden SOS is a good example of a consultation, report and then planting scheme I recently did you can see it here. I look forward to hearing from you Emma.